What’s It About? The California town of Pico Mundo has a diner where the short order cook is called Odd Thomas (Anton Yelchin). He has a safe but boring job, and a wonderful girlfriend called Stormy Llewellyn (Addison Timlin), yet Odd’s life isn’t as it seems. He can see dead people and feels it’s his duty to make the people responsible for the death pay for their sins. Of course, the local Police Chief Wyatt Porter (Willem Dafoe) is aware of Odd’s ability and uses him to keep the town quiet. One day, a mysterious man enters the diner and Odd is convinced the guy is connected to a forthcoming major catastrophe in the town, so he sets out to stop him any way he can. Verdict: Odd Thomas is the big-screen adaptation of the Dean Koontz novels that have now numbered up to book 7. It’s possibly a strange book to adapt as supernatural comedies can struggle to find a big audience, but The Mummy director Stephen Sommers has taken on that challenge. His screenplay has us from minute one, as it’s wonderfully engrossing and perfectly in keeping with the style of the book. An entertaining, quick-witted, fun romp that knows what it needs to deliver and produces it, at times it felt like an indie version of Men In Black with all the strange happenings and bizarre creatures – some rather creepy and others downright devilishly scary. The humour is sharp with added sarcasm and keeps the movie ticking along at a steady pace. There are enjoyably funny exchanges between Odd and the Police Chief, also Odd’s gorgeous girlfriend Stormy has some of the best and witty lines of dialogue that make us fall in love with her. Anton Yelchin proves the perfect choice for Odd as he is likeable and utterly charming. His chemistry with the rest of the cast is of the highest order and he can run with whatever is given to him. He completely carries the film and it feels like this could be the performance that shows Hollywood what he is truly capable of. We already loved him in Fright Night, but this role is miles better and he just oozes with style and grace. Final Words: Odd Thomas is heaps and heaps of supernatural fun, with stellar performances from all the leads (especially Yelchin). It’s a unique film that should be seen by all as it has the ability to break out into a great mainstream popcorn blockbuster. 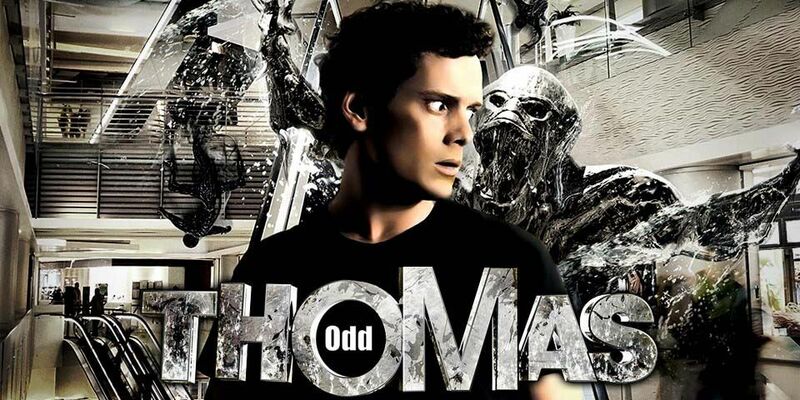 Odd Thomas is the perfect blend of strangeness, sexiness and downright oddness. Odd Thomas is released on DVD on 3 February 2014.